Lockheed Martin Aeronautics has signed a long-term contract with Denmark’s Terma to build composite parts for the F-35 Lightning II Joint Strike Fighter (JSF) programme. Valued at $95m, including follow-on options, the contract is for the manufacture and assembly of the horizontal tail leading edges for all three versions of the F-35 aircraft. Terma president and CEO Jens Maaløe said: "The agreement signing solidifies Terma’s position on the F-35 programme and shows how collaboration can benefit Terma, Lockheed Martin, and the F-35 programme as a whole." Currently under development by prime contractor, Lockheed, the F-35 Lightning II JSF is a fifth generation multirole fighter designed to conduct ground attack, reconnaissance and air defence missions. The aircraft is being manufactured in three variants, which include a conventional takeoff and landing (CTOL) variant for the US and other air forces, a carrier variant (CV) for the US Navy and a short take-off and vertical landing (STOVL) aircraft for the US Marine Corps and UK’s Royal Navy. "The company’s aggregate order to date for the programme stands at nearly $380m." 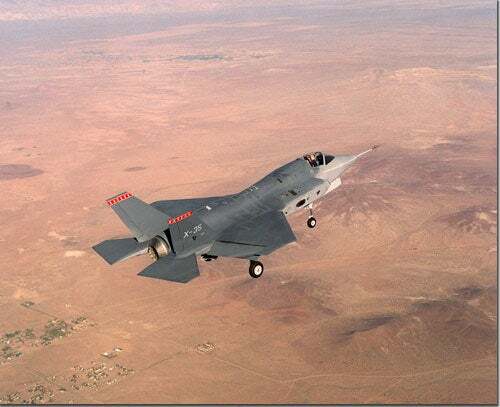 Denmark joined the F-35 Lightning II programme in 2002 and since then Terma has been involved in eight different production programmes, covering advanced composite structural parts and electronics. As part of a separate $97m contract with Northrop Grumman, the company is also manufacturing component parts, including doors, panels, skin assembly and straps for the F-35 Lightning II. The company’s aggregate order to date for the programme stands at nearly $380m. The JSF programme is principally financed by the US, with additional funding provided by the UK and seven international partners, including Australia, Canada, Denmark, Italy, Netherlands, Norway and Turkey. Image: Lockheed Martin was awarded the JSF joint strike fighter production contract in October 2001.